An American mum-of-four has developed an app that can analyse the sound of a baby crying – and focus in on the reasons why they might be distressed. The free ChatterBaby app helps parents interpret what a baby’s cry might mean. Despite first appearances, this is no fake news or snake oil type situation. Instead, the app’s made by experts who’ve used some exhaustive research and artificial intelligence to build its baby knowledge base. The app’s developer, Ariana Anderson, is a statistician and she originally created the technology to help deaf parents decode the sounds their babies were making. She quickly realised it might have broader appeal, and the app is now being marketed to all parents in the hopes that it can make those early days a little less confusing. So how does it work? Well, ChatterBaby allows you to record your baby’s cry within the app. It then sends the cry to the Chatterbaby servers, which analyse the sound and predict just why your baby might be upset. Genius! The future is here, everyone! To create ChatterBaby, Ariana and her team recorded and analysed 2000 audio samples of infant cries. “We’re taking a five-second audio sample, we look at over 6000 different acoustic features and we try to see which features associated with each state using artificial intelligence,” Ariana says. “Only the cries whose labels were universally agreed upon by our veteran mums were used to teach our algorithm,” the app’s maker says. 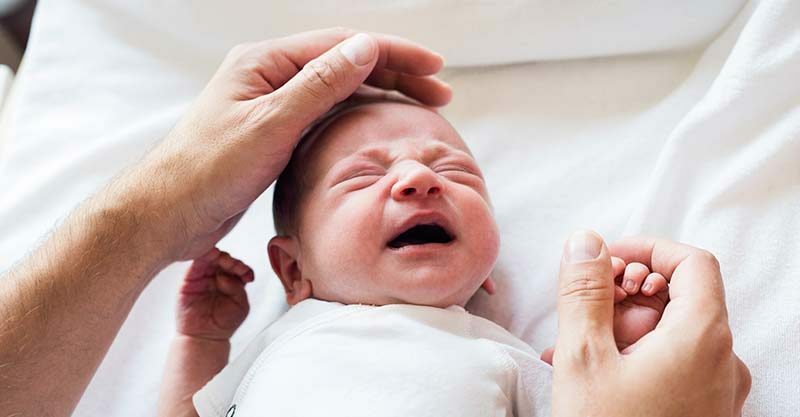 The team at ChatterBaby then bundled up all the audio information about the cries and combined it with information about how babies develop, coming up with a much clearer picture of what crying might mean at different ages, stages and times of the day. All this intelligence forms the app’s algorithm, predicting when a baby is hungry, in pain or fussy – according to their cry. The app adapts to your baby as you use it, getting to know their behaviour and crying patterns and creating a more personalised – and hopefully accurate – experience. They’re hoping to develop the accuracy and breadth of ChatterBaby further, as more people sign up to use it and agree to share their baby’s crying info with developers. ChatterBaby aims to help parents better understand what their baby is going through, rather than to diagnose it definitively. Think of it as a tool that provides a little more information on babies’ habits and wellbeing to parents.